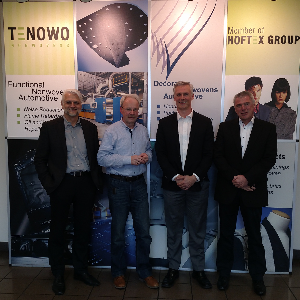 Lincolnton, NC, April 13, 2016 – Tenowo, a Hoftex Group AG business and manufacturer of specialty nonwovens with a focus on automotive products, announces that Chris Peart is the new President and Chief Executive Officer of its North American subsidiary, Tenowo, Inc. Mr. Peart succeeds Dr. Lothar Hackler, who, after concluding a successful career that involved several executive management positions worldwide, is entering retirement. 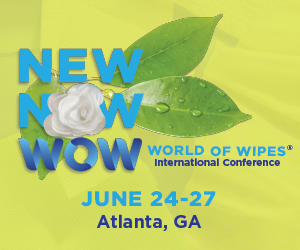 Mr. Peart has 15 years of experience in various positions within the nonwovens industry, starting on the technical side of the business and progressing into sales and business development. Most recently, Mr. Peart was the Vice President of Sales and Development at HDK Industries, where the company doubled in sales revenue during his tenure. Previous to that, he held positions of increasing responsibility at Ahlstrom and FiberMark. “I feel honored to have been chosen to assume this position at Tenowo, Inc. There is a great team in place in Lincolnton and the company is ideally situated for continued growth – both internally and from a market perspective. Globally, Tenowo has a record of investment and growth success that is frankly unparalleled in my experience. I am looking forward to a long career at Tenowo and a prosperous future for the company”, commented Mr. Peart. “Tenowo has a solid history of aggressive investment leading to organic growth and we believe that Mr. Peart will be an excellent fit with this philosophy because of his business development experience and similar history of success. We have a very team-oriented approach at our company and Mr. Peart blends in well with our culture. We anticipate that this will be a very successful partnership,” added Dr. Stini.